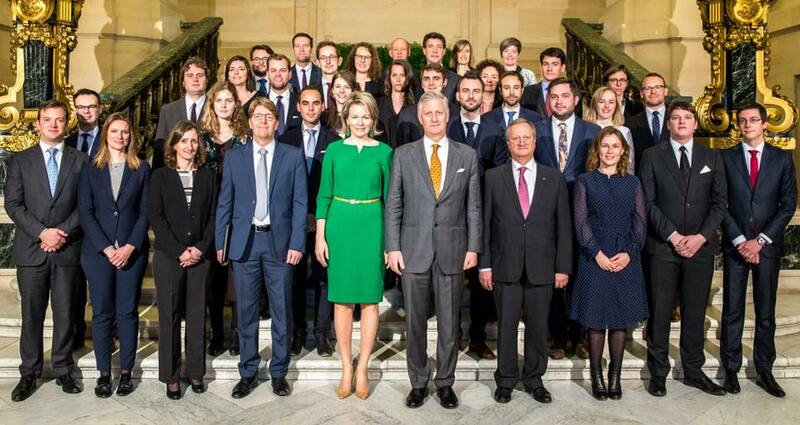 The king & queen received 38 trainee diplomats at the castle of Laken. 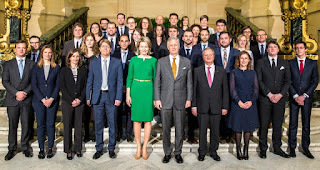 In a few months they will all start their first diplomatic mission abroad, representing Belgium. Later that same day, Mathilde & Elisabeth went to see a modern dance by Rosas in Leuven.